Monmouth Behavioral Therapy Group, LLC. (MBTG) provides in-home based Applied Behavioral Analysis (ABA) services for children diagnosed with Autism Spectrum Disorders. Our goal is to create a treatment plan, firmly grounded in the principles of ABA, that is unique to each individuals needs therefore helping the child reach his/her full potential. 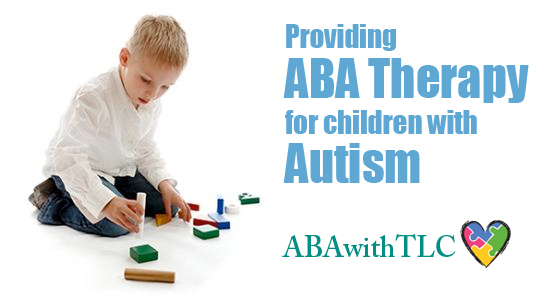 ABA Therapy is the most scientifically validated method for treating autism. Through the breaking down of tasks into small steps, trained therapists help to modify and re-direct introverted and unacceptable behaviors associated with Autism Spectrum Disorders. A certified BCBA or BCaba consultant will preform a full assessment of your child. Based on that assessment, a custom Behavioral Intervention Plan will be developed. We then, will coordinate within your schedule to provide your child 2-3 hour sessions several days per week with the ABA therapist that best suits your child. The program helps children improve with socialization, scheduling, transitioning, danger awareness, and decreasing tantrums and meltdowns. These cards can help others to be more understanding when a chiild with autism has behaviors in public. Order yours now.